Facebook Messenger keeps its promise that was made last year. Mark Zuckerberg is not the only one who can recall Facebook messages. 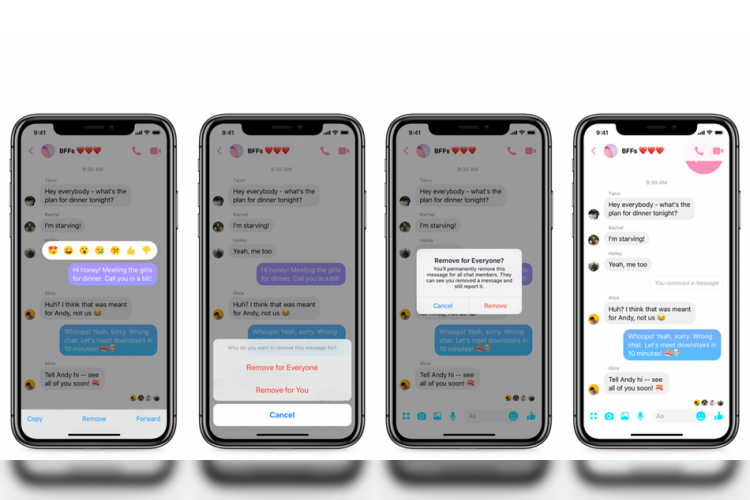 Facebook Messenger has finally rolled out the "unsend" feature and is available in the latest version of the messenger app on iOS and Android. You can remove the message for everyone or just for you. The most important point is that you must recall your message within 10 minutes.